The Racer is the perfect pedal go-kart for children ages 2-8. It rides like the "big kid" models with the same look and feel. 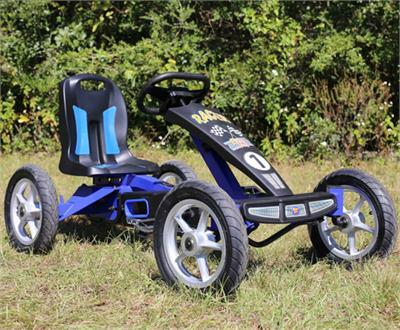 The Racer kids pedal car would make a great gift for a child's birthday, Christmas or any occasion. The Racer is a great form of exercise as well as being very fun to ride. The Racer is also durable enough for commercial use by businesses like campgrounds, bike rental companies, zoos, agri-tainment farm markets or corn maze, day camps, resorts and family fun centers.